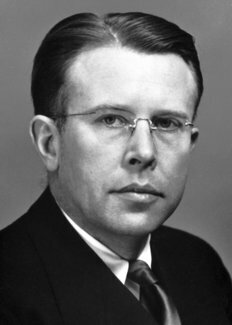 Ernest Orlando Lawrence was born on 8th August, 1901, at Canton, South Dakota (United States). His parents, Carl Gustavus and Gunda (née Jacobson) Lawrence, were the children of Norwegian immigrants, his father being a Superintendant of Schools. His early education was at Canton High School, then St. Olaf College. In 1919 he went to the University of South Dakota, receiving his B.A. in Chemistry in 1922. The following year he received his M.A. from the University of Minnesota. He spent a year at University of Chicago doing physics and was awarded his Ph.D. from Yale University in 1925. He continued at Yale for a further three years, the first two as a National Research Fellow and the third as Assistant Professor of Physics. In 1928 he was appointed Associate Professor of Physics at the University of California, Berkeley, and two years later he became Professor, being the youngest professor at Berkeley. In 1936 he became Director of the University’s Radiation Laboratory as well, remaining in these posts until his death. During World War II he made vital contributions to the development of the atomic bomb, holding several official appointments in the project. After the war he played a part in the attempt to obtain international agreement on the suspension of atomic-bomb testing, being a member of the U.S. delegation at the 1958 Geneva Conference on this subject. Lawrence’s research centred on nuclear physics. His early work was on ionization phenomena and the measurement of ionization potentials of metal vapours. In 1929 he invented the cyclotron, a device for accelerating nuclear particles to very high velocities without the use of high voltages. The swiftly moving particles were used to bombard atoms of various elements, disintegrating the atoms to form, in some cases, completely new elements. Hundreds of radioactive isotopes of the known elements were also discovered. 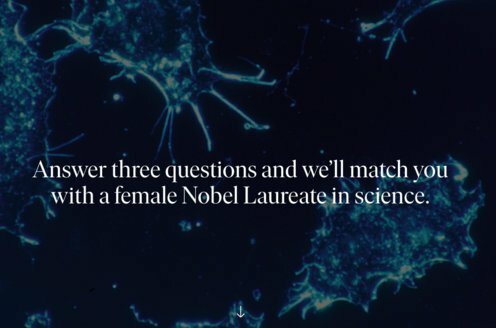 His brother, Dr. John Lawrence, who became Director of the University’s Medical Physics Laboratory, collaborated with him in studying medical and biological applications of the cyclotron and himself became a consultant to the Institute of Cancer Research at Columbia. Larger and more powerful versions of the cyclotron were built by Lawrence. In 1941 the instrument was used to generate artificially the cosmic particles called mesons, and later the studies were extended to antiparticles. Lawrence was a most prolific writer: during 1924-1940 his name appeared on 56 papers (an average of 31/2 papers a year), showing his exceptional breadth of interest. He was also the inventor of a method for obtaining time intervals as small as three billionths of a second, to study the discharge phenomena of an electric spark. In addition he devised a very precise method for measuring the e/m ratio of the electron, one of the fundamental constants of Nature. Most of his work was published in The Physical Review and the Proceedings of the National Academy of Sciences. Among his many awards may be mentioned the Elliott Cresson Medal of the Franklin Institute, the Comstock Prize of the National Academy of Sciences, the Hughes Medal of the Royal Society, the Duddell Medal of the Royal Physical Society, the Faraday Medal, and the Enrico Fermi Award. He was decorated with the Medal for Merit and was an Officer of the Legion of Honour. He held honorary doctorates of thirteen American and one British University (Glasgow). He was a member or fellow of many American and foreign learned societies. Lawrence married Mary Kimberly Blumer, daughter of the Emeritus Dean at Yale Medical School, in May 1932. They had six children. His recreations were boating, tennis, ice-skating, and music. He died on 27th August, 1958, at Palo Alto, California.